Having been recently modernised throughout, this spacious 1930's three bedroom semi-detached house is presented in exceptional order. 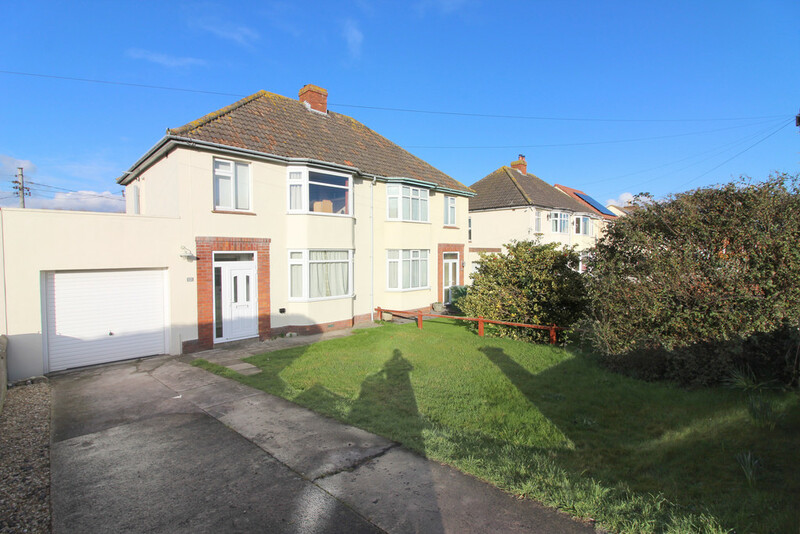 The property boasts a garage, driveway parking for two vehicles, front and rear gardens, and an additional store/utility room. Accommodation comprises an entrance hall, living room, kitchen/diner, three bedrooms and family bathroom. An internal viewing is highly recommended. ENTRANCE PORCH UPVC double glazed entrance door and obscured window to front. Tiled flooring. Part glazed panelled door through to entrance hall. ENTRANCE HALL Stripped wooden flooring. Stairs to first floor. Under stair storage recess. Radiator. Doors to living room and kitchen/diner. LIVING ROOM 12' 0" x 12' 0" (3.66m x 3.66m) UPVC double glazed bay window to front. Radiator. TV and telephone points. Wall mounted up-lighters. REAR HALLWAY Doors to utility/store room, garage and rear garden. UTILITY/STORE ROOM 9' 3" x 6' 5" (2.82m x 1.96m) Fitted work surface. Space and plumbing for washing machine. Space for tumble dryer. Radiator. UPVC double glazed window to rear. GARAGE 16' 1" x 9' 5" (4.9m x 2.87m) Up and over door to front. Light and power. Water supply. LANDING Doors to all bedrooms and bathroom. UPVC double glazed window to side. Loft hatch. BEDROOM ONE 12' 6" x 11' 0" (3.81m x 3.35m) UPVC double glazed window to rear. Fitted double wardrobe with hanging rail and shelving. Radiator. TV and telephone point. BEDROOM TWO 12' 8" x 12' 0" (3.86m x 3.66m) UPVC double glazed bay window to front. Fitted double wardrobe with hanging rail and shelving. Radiator. TV and telephone point. BEDROOM THREE 7' 11" x 6' 3" (2.41m x 1.91m) UPVC double glazed window to front. Radiator. BATHROOM Fitted with a four piece suite comprising a corner shower cubicle with mains connected shower over, P-shaped panelled bath with mains connected shower over, low level WC and pedestal wash basin. Fully tiled walls. Tiled flooring. Heated towel rail. Electrical shaving point. Recessed spotlights. Light activated extractor fan. UPVC double glazed obscured window to rear. Cupboard housing gas fired boiler. FRONT OF PROPERTY The property is accessed via a hard standing driveway, providing off road parking for two vehicles. The front graden is laid to lawn with shrubs and low level walling to border. External light and power. REAR GARDEN Generously proportioned garden which is mainly laid to lawn and enclosed with timber fencing. Patio seating area, perfect for entertaining, located outside the French doors from the dining area, as well as a further patio seating area to the rear of the garden. Variety of well stocked raised flower beds. External water supply. AMENITIES & RECREATION The historic market town of Glastonbury boasts a variety of unique local shops in the High Street, with its very own 8th century Abbey and 14th century Tor. Glastonbury provides the usual small town facilities including a selection of schools, catering for infants through to secondary education, churches, supermarkets, a library, two doctors' surgeries and a local hospital. Street, just 2 miles away is a thriving mid Somerset town famous as the home of Millfield School, Clarks Shoes and more recently Clarks Village shopping centre complementing the High Street shopping facilities. The Cathedral City of Wells is 6 miles whilst the nearest M5 motorway interchange at Dunball (Junction 23) some 15 miles distance. 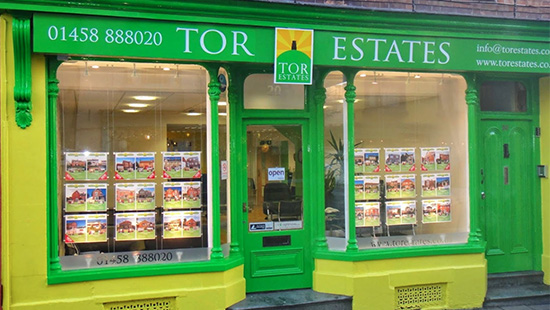 Bristol, Bath, Taunton and Yeovil are all within commuting distance. At Castle Cary mainline trains run to London Paddington.